I wasn’t sure what to make of it but it’s appearing over various places now that Anna was coming in Q3. Q3 puts Anna from July to September. Now that’s a little disappointing for those who have been waiting for it since last year. We thought “early 2011”, at least January, then February. We thought it was coming in April. It did kind of. It was officially announced it April though and we thought possibly late May, early-mid June. Having said that, we already heard back in March that the FIRST Major update wouldn’t arrive till the Summer. At least for that, Q3 is technically on track. X7 and E6 also announced back in April is expected in June. These slides came by way of a blogger mini event showcasing Anna as well as the X7 and E6. Nokia and software are the new Duke Nukem Forever. 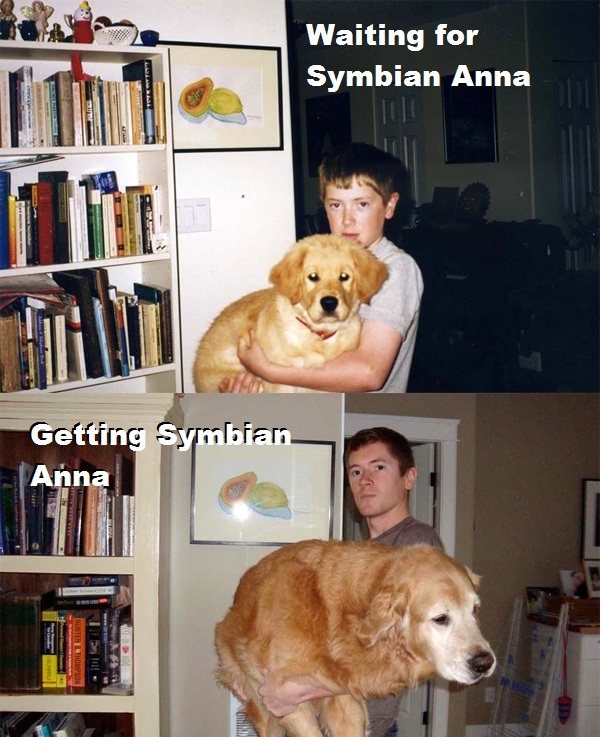 Are you looking forward to Symbian Anna? 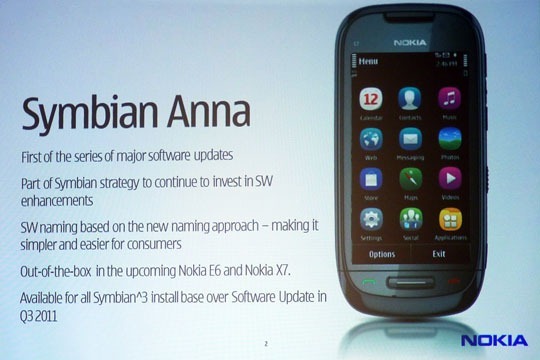 Update: The wording on the presentation is “Available for ALL Symbian^3 install base” All Symbian^3 install base is every Symbian^3 handset locked, unlocked, branded, undranded. As you know this takes time to get to. Once the software provider unleashes it, it has to go through YET another filter. 1)Who started the rumour that #SymbianAnna was delayed til Q3?! er the presentation from Nokia did. 2)@alsiladka@MichaelxHell@JayMontano Just because it says ALL S^3 install base in Q3, doesn’t mean some won’t get it sooner. « Nokia Event June 21: Nokia Windows Phone (Or MeeGo)? Elop updates on new ecosystem and new product/service launches!! !